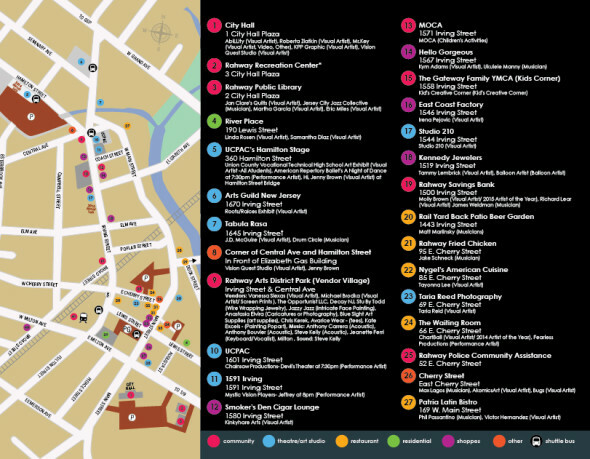 For a downloadable version of the 2015 map, click HERE! 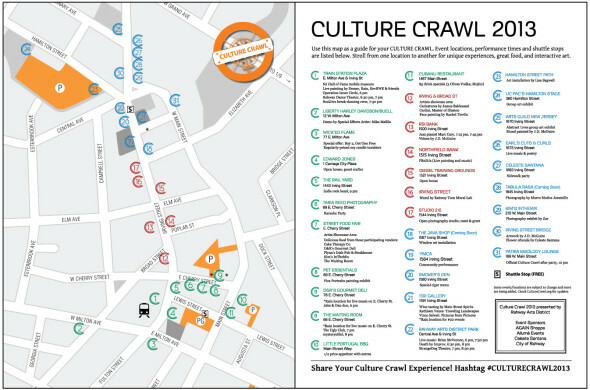 The Culture Crawl 2013 Map is now available for download! 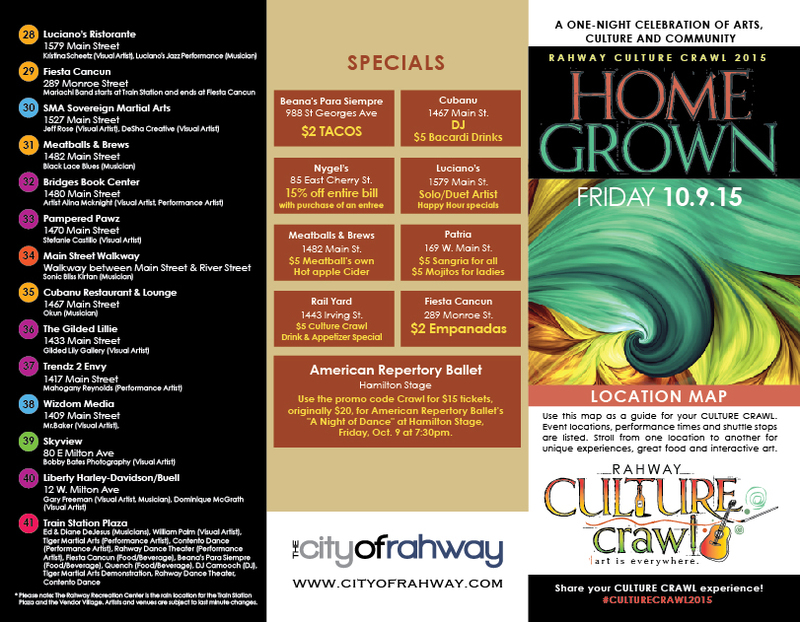 Thirty-one locations (with a few surprises in between) and over 40 different events and activities are scheduled for the night. 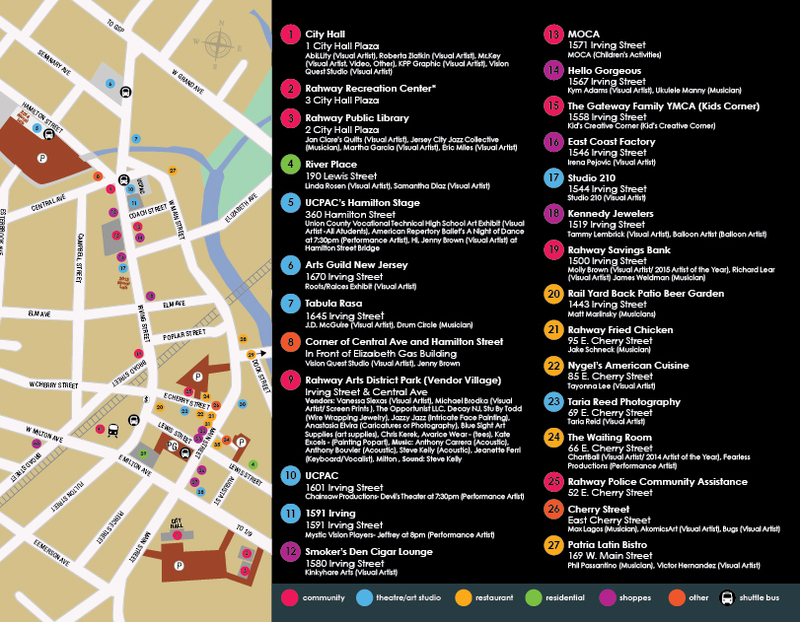 Plan your route ahead but save some time for diversions and unexpected entertainment as well! There are also lots of delicious choices for dinner or a quick snack. Make sure to stroll over to Cherry Street to see what local restaurants have to offer. Visit our sister site ArtsRahway.com for more information on Dining, Travel, and other Rahway Arts District events.